The on going protest of CoSAAP by wearing black badge during duty hours enter 2nd day. 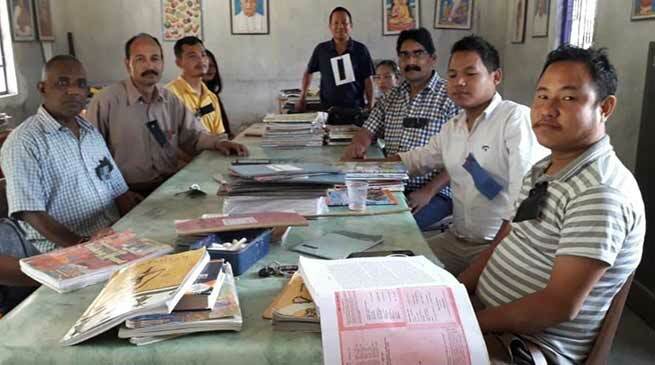 The on going protest and democratic movement by the Confederation of Confederation of Service Association of Arunachal Pradesh (CoSAAP) by wearing black badge during duty hours enter 2nd day. Report received from various offices in capital complex and other district said that the officials have reached to office and their workplace by wearing black badge as a mark of protest and solidarity for several demand put forward to the state government for a solution. Employees said our employer is the state government who are our parents and we will continue to press our demand before our parent. We want a solution, the state government and CoSAAP should work out for an amicable solution, employees said. Report from Lower Siang, Changlang, West Siang, East Siang, Lower Subansiri, Kamle, Kra Daadi, Balijan, Sagalee, Yupia, Banderdewa, and several other department of the twin capital city where the staffs have observed the protest by wearing the black badge as a mark of solidarity towards their on going democratic movement.